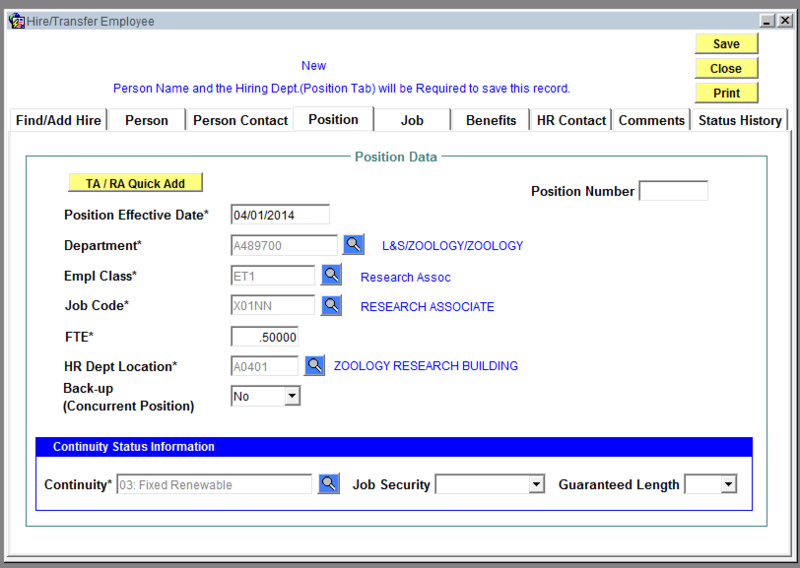 This knowledge base document provides instructions on how to complete hiring transactions in JEMS HIRE for appointments that do not require open recruitment or waivers (e.g., SA, ET, OT). 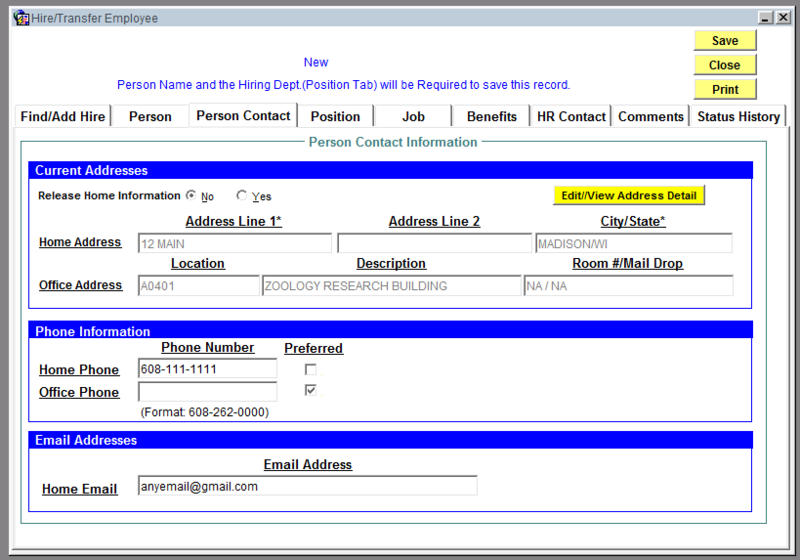 This knowledgebase document provides instructions on how to complete hiring transactions in JEMS HIRE for appointments that do not require open recruitment or waivers (e.g., SA, ET, OT). 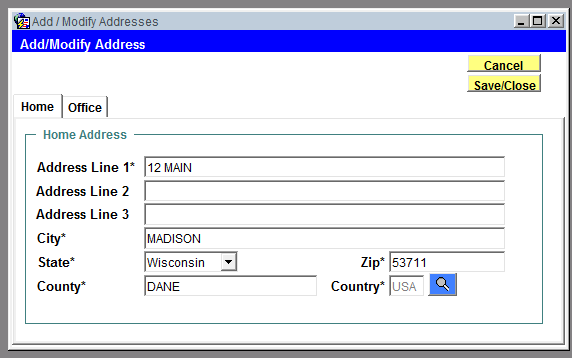 Add both Home and Office address and click the Save/Close button. 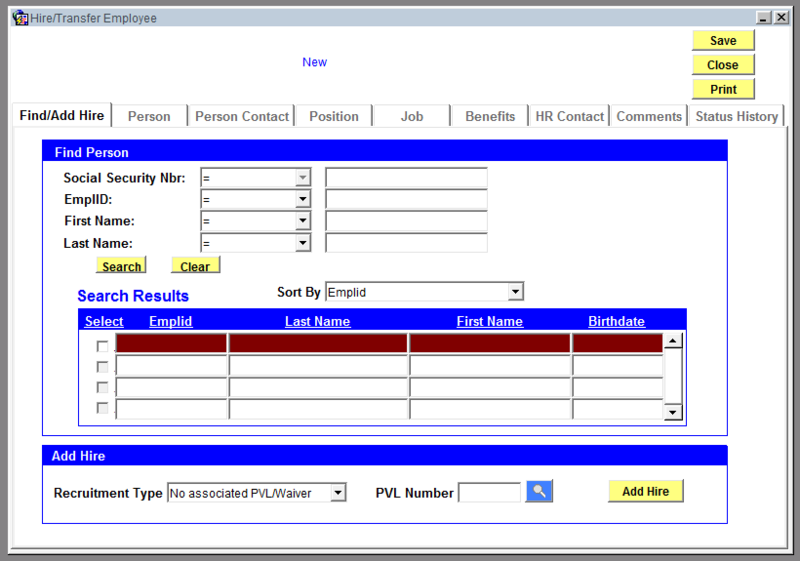 Empl Class* Enter in the appropriate employment classification. 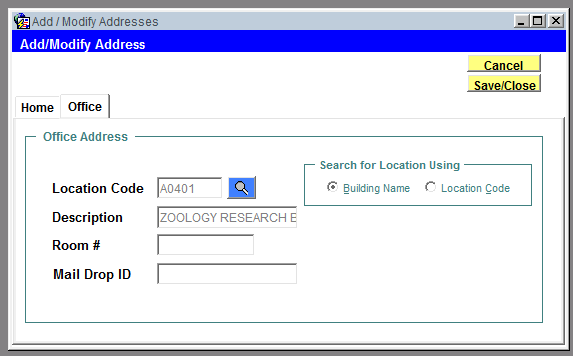 See HRS KB 15813 for more information regarding Empl. Class. This is only applicable to the following six job titles. 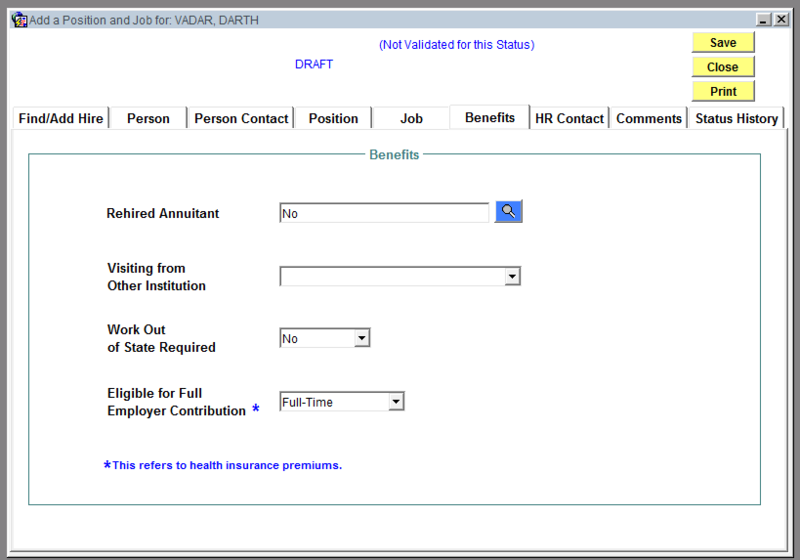 Employees in these positions are eligible for WRS if they are not on LOA from another institution while the opposite exists for employees that are on LOA. 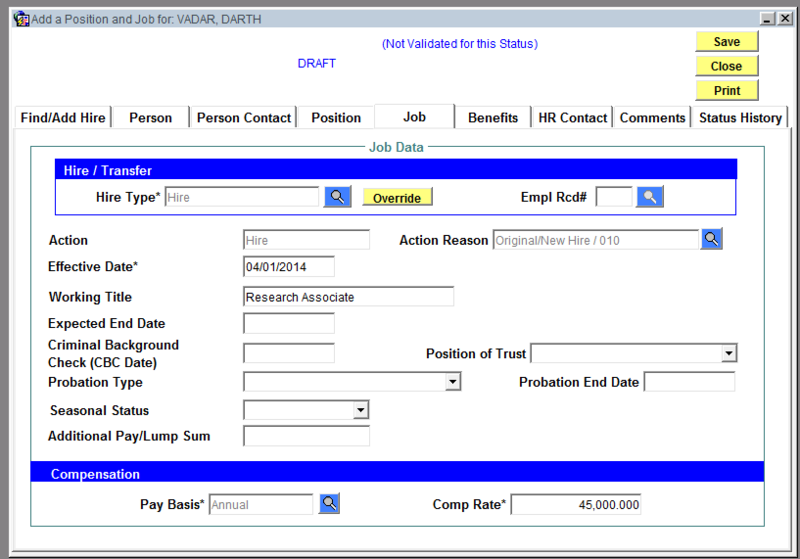 See KB-38920 for instructions on how to complete the HR Contact Tab and for information regarding the Comments and Status History Tabs. 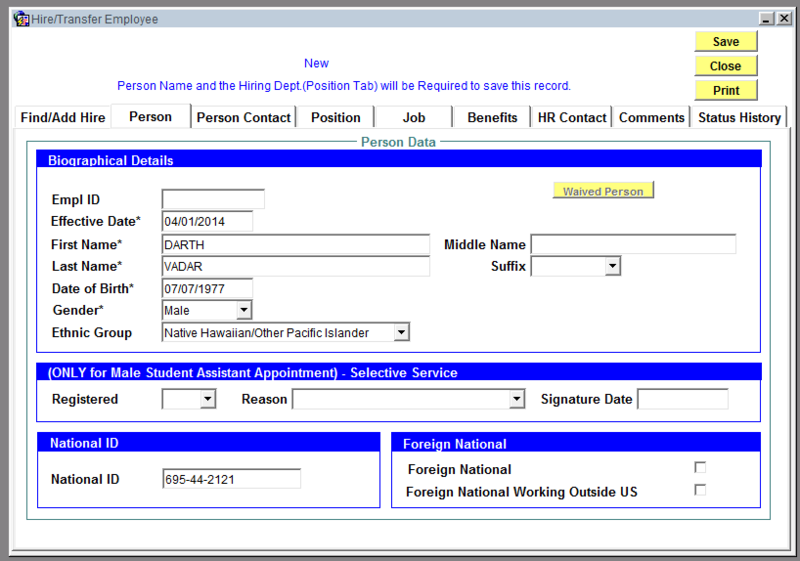 KB-38920 also contains information on the steps needed to submit the Hire data to HRS.